Miniatures - Begindnd! 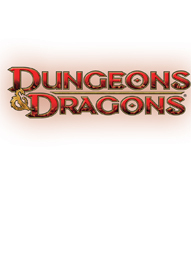 - What is Dungeons and Dragons (D&D) about? This page will list miniatures that are avaliable to purchase. They are not necessary to play the D&D game but enhance the game itself by being a visual age. Especially when 4th edition is heavily combat focused with monster (and figurines!) sliding around everywhere. Each pack is a booster pack, which is part of a set. This won't be an exhaustive list but kept up to date of course! None of these products are mine but are owned by Wizards of the Coast (or WotC for short). There are amazon widgets dotted around the page to guide you to the right products! Lords of Madness is a fully randomized set of 60 pre-painted plastic D&D miniatures, including several Huge figures. The set features iconic D&D monsters and characters—perfect additions to any Dungeons & Dragons campaign. Collect them all! 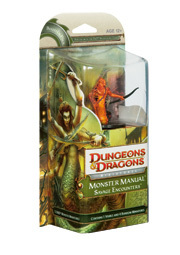 The Monster Manual: Savage Encounters expansion for the Dungeons & Dragons Roleplaying Game features pre-painted plastic miniatures of iconic monsters from the Monster Manual and other core rulebooks. This 40-figure set includes monsters of various levels and roles, and each booster pack allows a Dungeon Master to run a ready-to-play encounter right out of the box! The Monster Manual: Legendary Evils expansion for the Dungeons & Dragons Roleplaying Game features pre-painted plastic miniatures of iconic monsters from the Monster Manual and other core rulebooks. This 40-figure set includes monsters of various levels and roles, and each booster pack allows a Dungeon Master to run a ready-to-play encounter right out of the box! The Player's Handbook Heroes: Series 2 expansion for the Dungeons & Dragons Roleplaying Game features high-quality miniatures representing iconic player character races and classes described in the Player's Handbook and Player's Handbook 2 core rulebooks. There are six booster packs in all: 2 packs of martial heroes, 1 pack of arcane heroes, 2 packs of divine heroes, and 1 pack of primal heroes. Each booster pack contains 3 visible, high-quality, non-random plastic miniatures representing D&D player characters, plus an exclusive power card not available elsewhere! Each miniature comes beautifully painted and fully assembled. The Monster Manual: Dangerous Delves expansion for the Dungeons & Dragons Roleplaying Game features pre-painted plastic miniatures of iconic monsters from the Monster Manual and other core rulebooks. This 40-figure set includes monsters of various levels and roles, and each booster pack allows a Dungeon Master to run a ready-to-play encounter right out of the box! 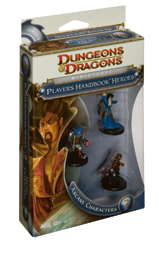 The Player's Handbook Heroes: Series 1 expansion for the Dungeons & Dragons Roleplaying Game features high-quality miniatures representing iconic player character races and classes described in the Player's Handbook and Player's Handbook 2 core rulebooks. There are six booster packs in all: 2 packs of martial heroes, 2 packs of arcane heroes, 1 pack of divine heroes, and 1 pack of primal heroes. Evil drow and their demon servants battle mind flayers for control of the Underdark! This latest D&D Miniatures Game release is designed for use with the Dungeons & Dragons Miniatures Game starter as well as the D&D Roleplaying Game and includes D&D characters and iconic D&D monsters. 8 randomized, fully painted, durable plastic miniatures. A stat card for each figure, with D&D Miniatures Game statistics on one side and D&D Roleplaying Game statistics on the other. 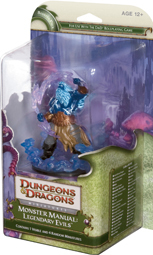 This Dungeons & DragonsMiniatures Game release includes figures based on popular D&D game characters as well as monsters plucked from the pages of the 4th Edition Monster Manual and various D&DRoleplaying Game supplements. This set features huge-size figures, including several iconic giants. 8 randomized, fully painted, durable plastic miniatures, including 1 huge-size figure. A full-color stat card for each figure, with Dungeons & DragonsMiniatures statistics on one side and D&DRoleplaying Game statistics on the other. An Against the Giants set checklist and rules update. For use with the D&D Miniatures Game and the D&D Roleplaying Game.